The current population of Ecuador stands at around 13,625,000 people, making it 67th in the list of 223 countries by population. The capital city alone has 1,482,000 people, and Guayaquil has 2,090,000. The population density (population per unit area) is 33.4 per square mile. People from the country are known as "Ecuadorian", and the ethnic groups include Mestizo (65%), Amerindian (25%), Whites/others (7%) and Black (3%). The Mestizos are mixed descendants of Spanish Colonists and Indians, and are the largest ethnic group of Ecuador. The GDP (the economic performance of the country) stands at around $108.389 billion, and $7,785 on average per capita. Ecuador (The Republic of Ecuador) is a democratic republic in South America, bordered by Peru, Colombia and the Pacific Ocean. 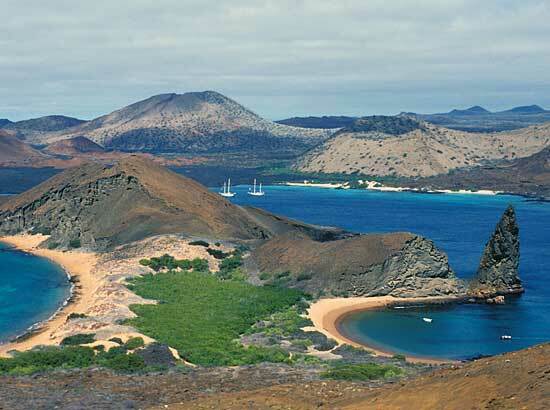 The country also includes the Galapagos Islands, which are about 600 miles from the mainland. It is one of few countries in South America that does not border Brazil. Ecuador lays on the equator, hence the name. It has an area of around 159,071 square miles. The capital city is Quito and the largest city is Guayaquil. UNESCO declared the capital, Quito, a World Heritage Site for "having the best preserved historic center in Latin America". Another city, Cuenca, was also declared a World Heritage Site for being an outstanding example of "a planned inland Spanish style colonial city in the Americas". 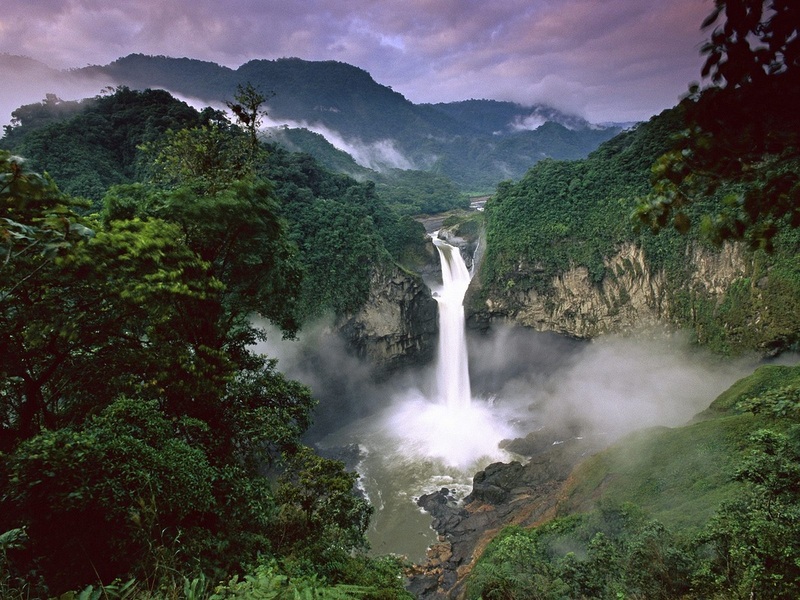 Ecuador is also home to many species and this makes Ecuador one of the seventeen megadiverse countries in the world. This alone is worth a visit to Ecuador, along with its beaches, rafting opportunities, visiting the Amazon Rainforest, and the views of the Andes Mountains. 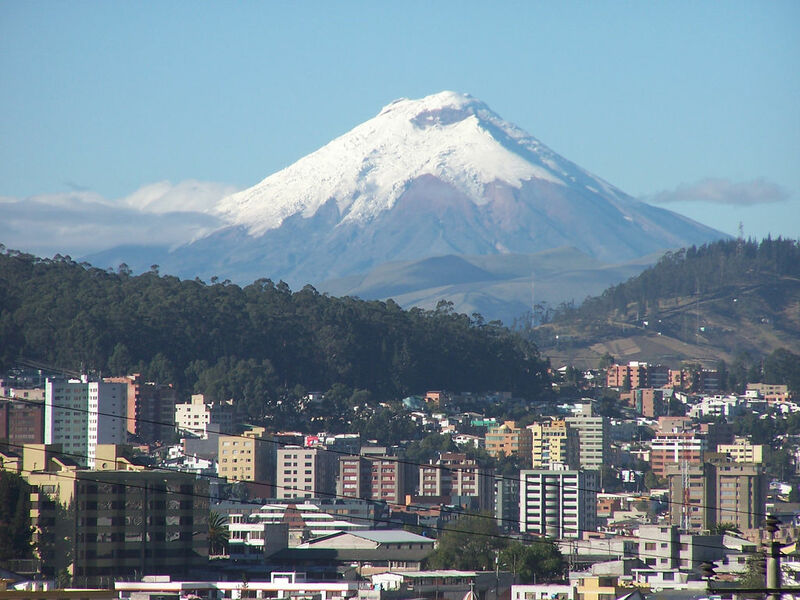 Ecuador has three main geographic regions, and a region in the Pacific Ocean. These are: La Costa (The Coast), with low-lying land in the west of the country; La Sierra (The Highlands), is the high-altitude band running north to south down the center of the country, mostly from the Andes; La Amazonia, or, El Oriente (The East), comprised of the Amazon Rainforest in the east; and Region Insular, the region containing the Galapagos Islands, west off the mainland. 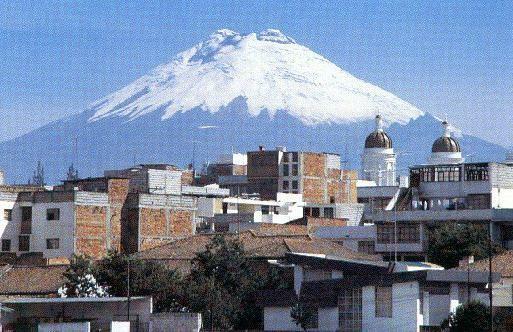 The capital, Quito, is in the Sierra region, and the largest city, Guayaquil, has one of the world's most active volcanoes. Mount Chimborazo in the Andes is said to be the most distant point from the center of the Earth. The country has a varied climate, mostly determined by altitude. The coastal areas have a tropical climate, with a rainy season. The highlands have a temperate climate and are mostly dry, and the eastern side of the mountains has a similar climate to other rain forest zones. Due to Ecuador being on the equator, there is little difference in sunlight during the year, and so no definitive summer or winter. Evidence of humans goes back to 3500 B.C. Many civilizations came from Ecuador, for example the Machalilla Culture on the coast. Each civilization developed its own architecture, pottery, religion, etc. After many battles where many people were killed, the region fell to the Incas and so started the Inca Empire. When the ruler died, the empire was divided. Later Spanish soldiers came to Inca to find it torn by war. The Spanish executed one of the rulers, Atahualpa, and then began to populate the areas of Nueva Granada and Lima. After nearly 300 years under Spanish control,, they gained independence from Spain. Guayaquil was the first independent city, and then two years later the rest of the country gained independence. 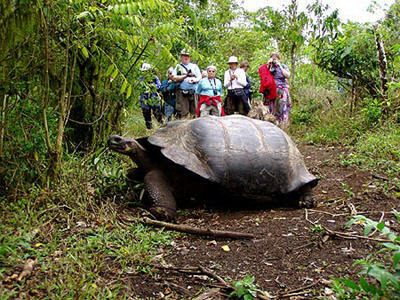 Ecuador has a range of attractions for tourists and locals alike. Banos, located in the middle of the Andes Mountains, is a place for relaxation from exploring the mountains and it is well known for its hot springs and landscapes. Cotopaxi National Park is situated near Latacunga. It is the most active volcano in the world, and is cone-shapes and snow-covered. The park itself houses many different plant and animal species, and has wild horses, deep, pumas and many more. It is also a good destination for bird watchers, and has a small museum that shows the park's geology and animals. Another place worth a visit is the town of Otavalo. This town is effectively a market, busiest day being Saturday, and is a shopper's paradise. The natives sell everything in this town, from belts to carpets, and everything is made by hand. The town is about 90 minutes away from the capital, Quito. Ecuador has a wide range of nightlife and entertainment, mostly in the major cities. The nightlife is very exciting and it is said the cities come alive at night. In Quito and Guayaquil there are a wide selection of bars, clubs and discos, restaurants, and private clubs. The Cinema is the most popular form of entertainment, along with theater. The actors and actresses in Ecuador are truly passionate about what they do so a show is definitely worth watching. 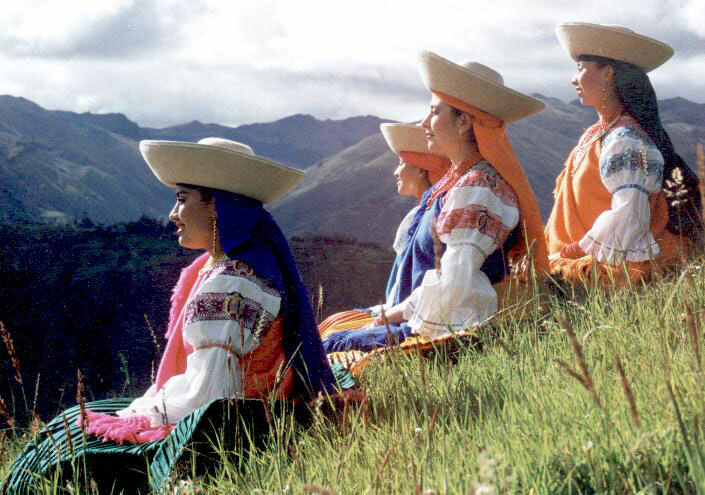 The Mestizo population, influenced by a mixture of European and Amerindian influences, defines most of Ecuador's culture. Spanish is the first language by more than 90% of the population and is the second language of more than 98%. A section of the population speaks Amerindian languages but mostly as a second language. A key item in Ecuadorian culture is the Panama hat, which is considered a great craft to manufacture. There are many contemporary writers in Ecuador, including a well-known novelist, Jorge Enrique Adoum, and poet, Jorge Carrera Andrade. The best-known Ecuadorian art is from Escuela Quitena, which are on display in churches in Quito. The food in Ecuador varies. Pork, chicken and beef and popular in the mountain regions, but a popular food all round is cuy, or Guinea Pig. Another popular food in mountain regions is Hornado, made from potatoes and roasted pig, and at the coast seafood is very popular. Prawns, shrimp and lobster are key parts of the diet. Plantain and peanut-based dishes accompany these seafood meals, and are usually served with two courses. A wide variety of fruit is available in Ecuador, including Passionfruit, Granadilla and several types of bananas. During Lent and Easter Fanesca is eaten. This is a fish soup including many types of bean. In the southern mountain area a traditional food is Repe, a soup make with green bananas. In the rainforest, Yuca or cassava is the main diet. It is a starchy root, peeled and boiled, or fried and used in many dishes. Many other fruits are available in this region too, including tree grapes and peach palms.